"I put my Heart & Experience into your Real Estate Needs!" 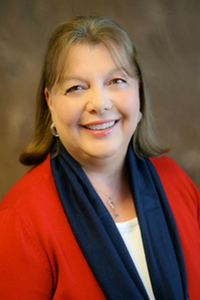 As a Real Estate Agent since 1995, Mary has received local, state & national awards & recognition for her dedication to her clients, including: the 100%, Chairman, Executive, Platinum, & Hall of Fame Awards. She has averaged sales of 1 home per week for the last 10 years. Her experience & knowledge of the Real Estate Industry gives her clients the best possible level of service throughout their Real Estate Transactions. An important component of Mary's experience comes from her previous career as an interior designer. She holds the designation of an Accredited Staging Professional. Combined with over 40 years of decorating experience, she provides an unique service to her clients; accentuating & displaying the features of her listings to their best advantage! Professionally staged homes sell faster & for more money than their counterparts! Coupled with personalized advertising & a vast knowledge of her service areas, Mary's expertise gives you confidence for a smooth transaction!